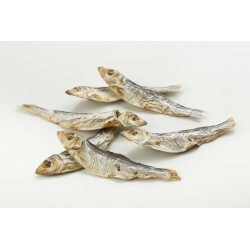 Sea Treats range of fish based treats is made from natural fresh fish. 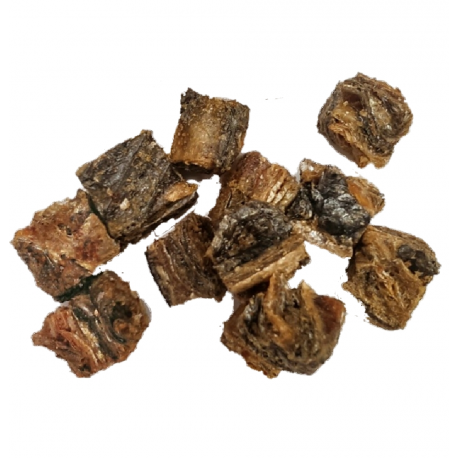 They are rich in minerals and essential nutrients and have a range of health benefits for your dog. 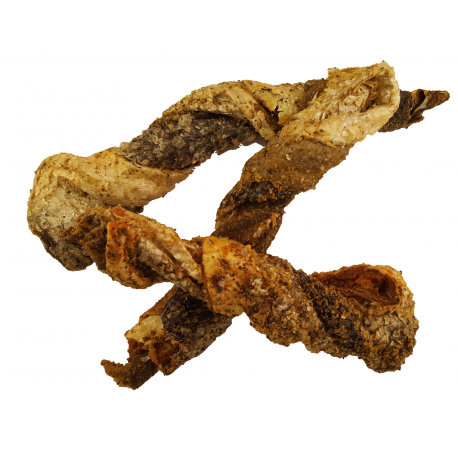 Their commitment to sourcing high-quality fish from well regulated, sustainable fisheries has earned Sea Treats the world’s first Marine Stewardship Council (MSC) certification in the dog treat industry. 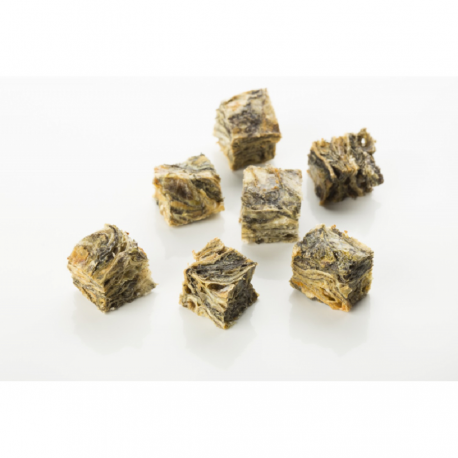 You can feed your pet premium quality, natural fish-based treats they will love, safe in the knowledge that the fish has come from an independently verified sustainable source. 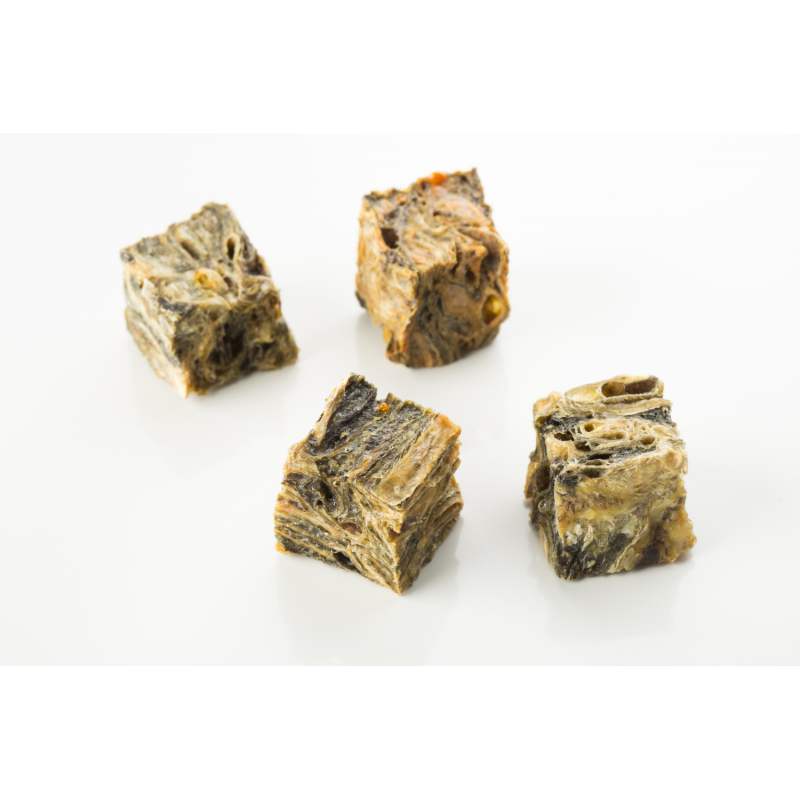 Omega 3 fatty acids don’t occur naturally in the cells of the canine body, so adding them to your dog’s daily diet can make a big difference to their health and wellbeing. 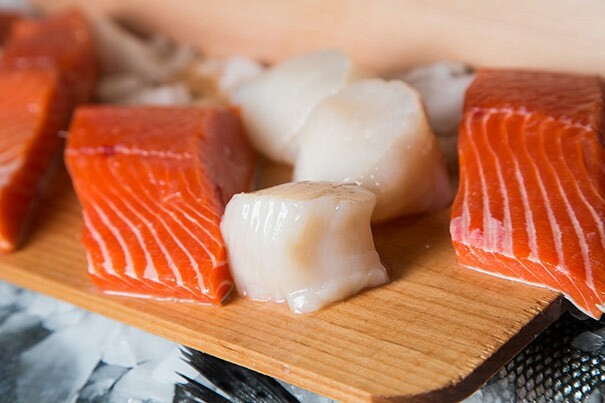 Heart health • Vision • Joint health • Skin and coat health • A healthy and balanced immune system. 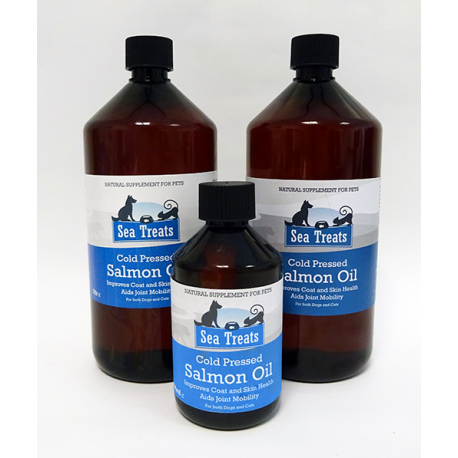 Sea Treats products are hypoallergenic, grain free, naturally high in Omega 3 and free from additives and preservatives to supplement your pets’ daily diet with all the nutrients their body requires. 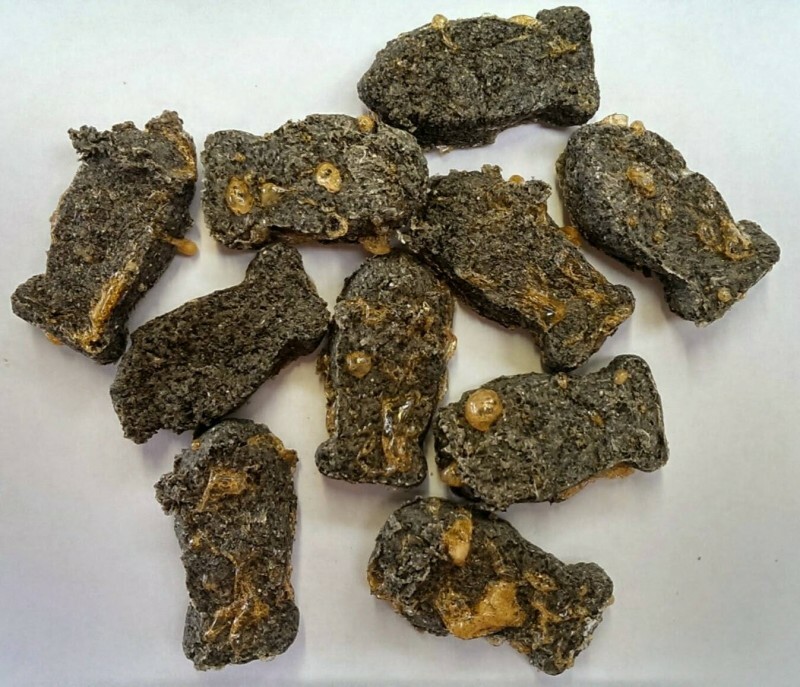 Treat your dog today and see the benefits! 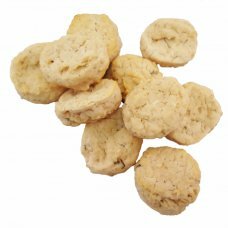 Tasty, low-fat dog treats packed with natural goodness are a great reward to give your dog. They are made with 100% natural ingredients with no additives or preservatives and are hypo-allergenic and grain free. 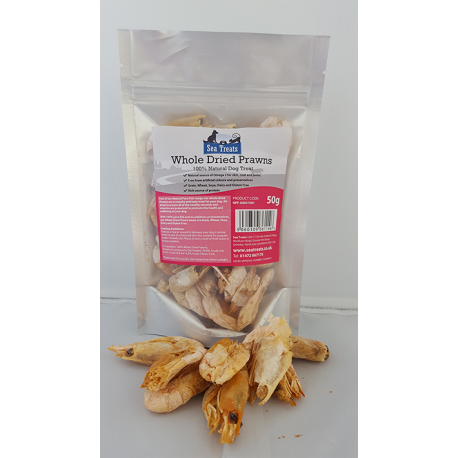 The low-calorie Natural Whitefish Jerky range is available in handmade shapes, crunchies, finger chunkies and flatties. 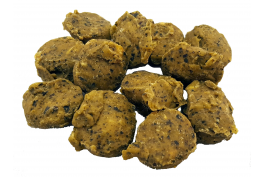 You will find a treat in this range to suit any dog type, whether it is for a small training reward or longer lasting treat. 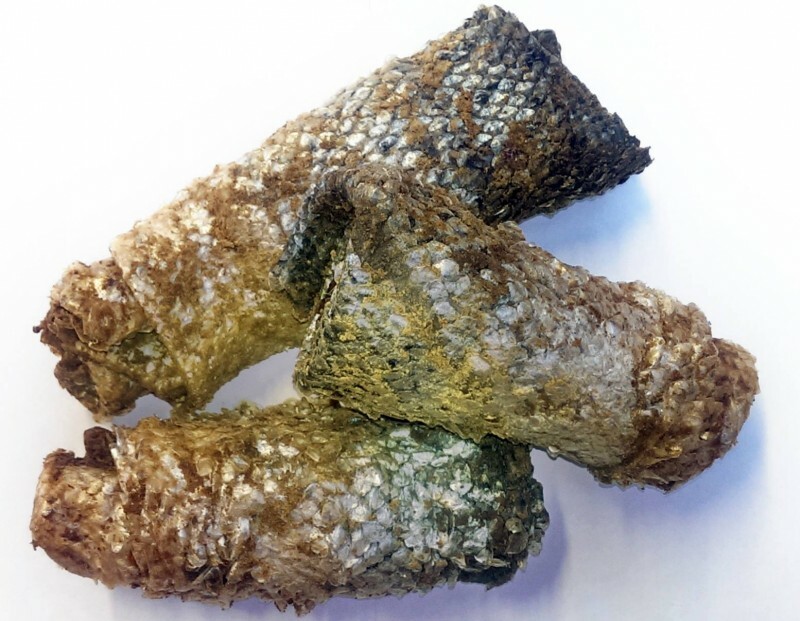 Organic hand-harvested Irish Seaweed - only the best for our dogs. 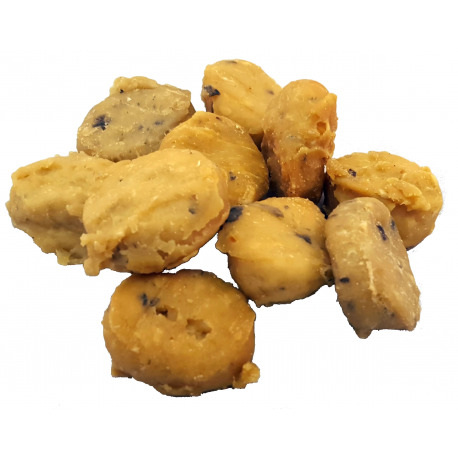 Sea Treats, value their loyal customers - to show their appreciation every time you shop at Sea Treats you will earn Loyalty Points. 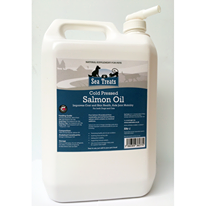 Sea Treats is always happy to receive trade enquiries from retailers interested in selling their products. 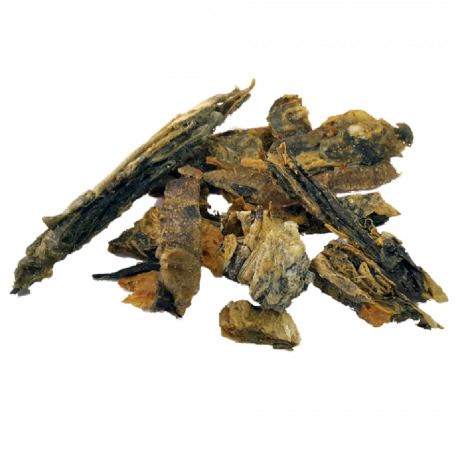 As a reseller, you can save money by ordering from them in bulk at exclusive trade prices. 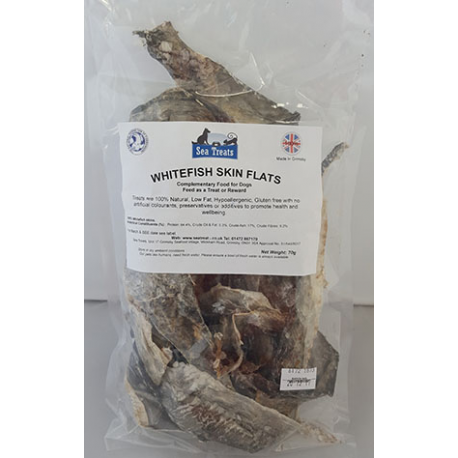 I received the Christmas gift bag full of: Whitefish Jerky Small Crunchies, Whitefish Jerky Sprinkles Tub, Cold Pressed Salmon Oil, Whole Dried Capelin, Natural Fishcake Bites, and Salmon & Trout Training Tiddlers over the Christmas period. 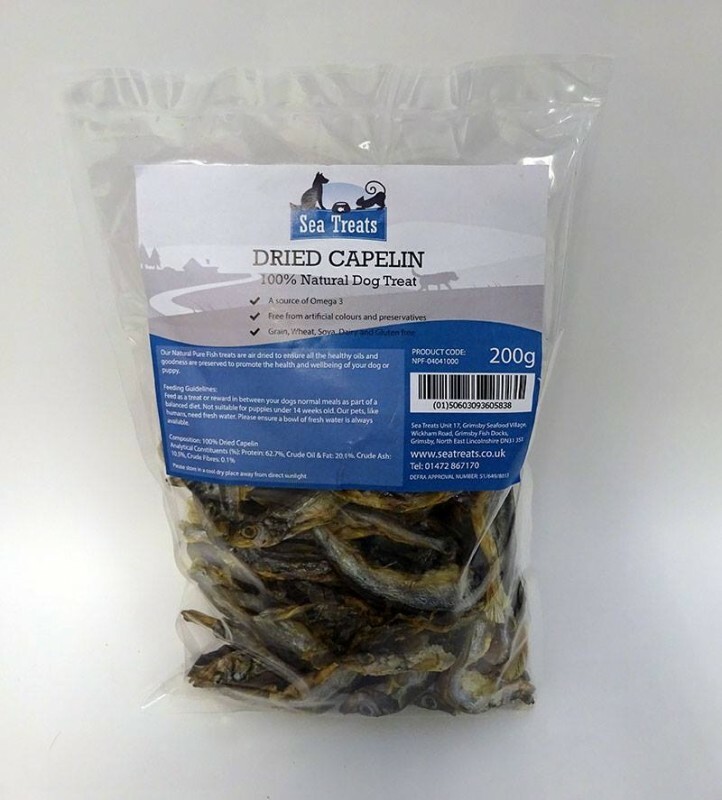 My two rescue dogs are usually a bit picky when it comes to fish, but they were ecstatic about these yummy wholesome treats especially the dried Capelin. 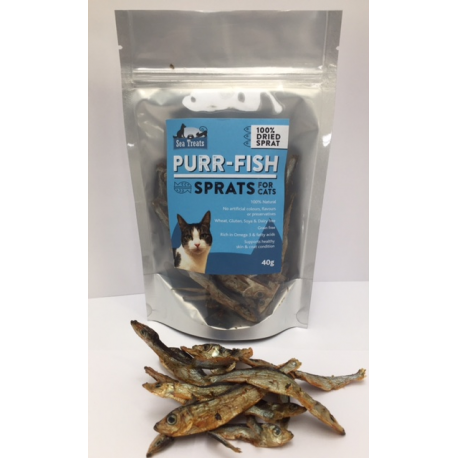 I have been adding the salmon oil and whitefish sprinkles to their food bowls daily and they are all too eager to lick the bowl clean. 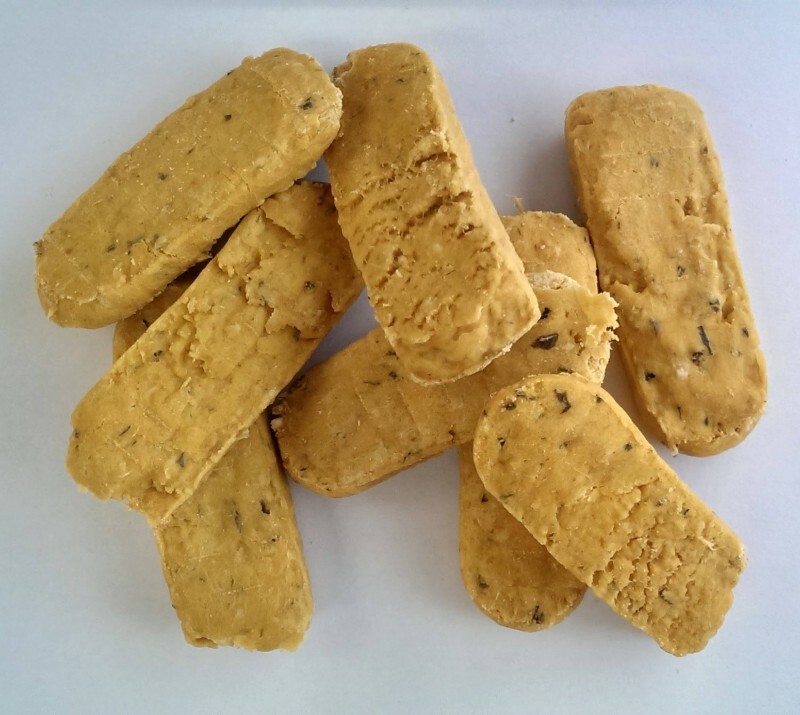 I am extremely satisfied with the quality of the products, the reasonable pricing, and the health benefits these fish products will provide my dogs. I am sold! I will be back, and regularly! 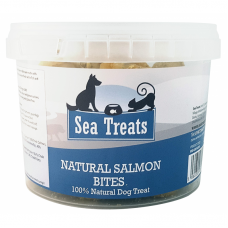 Our dogs had a fantastic Xmas because, among other things, they received a fabulous festive goodie bag from Sea Treats.! 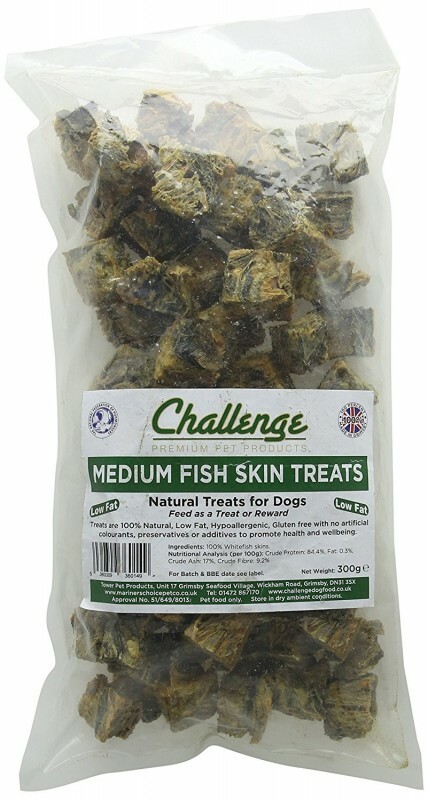 Whitefish Jerky Small Crunchies, Salmon & Trout Training Tiddlers and a bottle of Cold Pressed Salmon Oil. 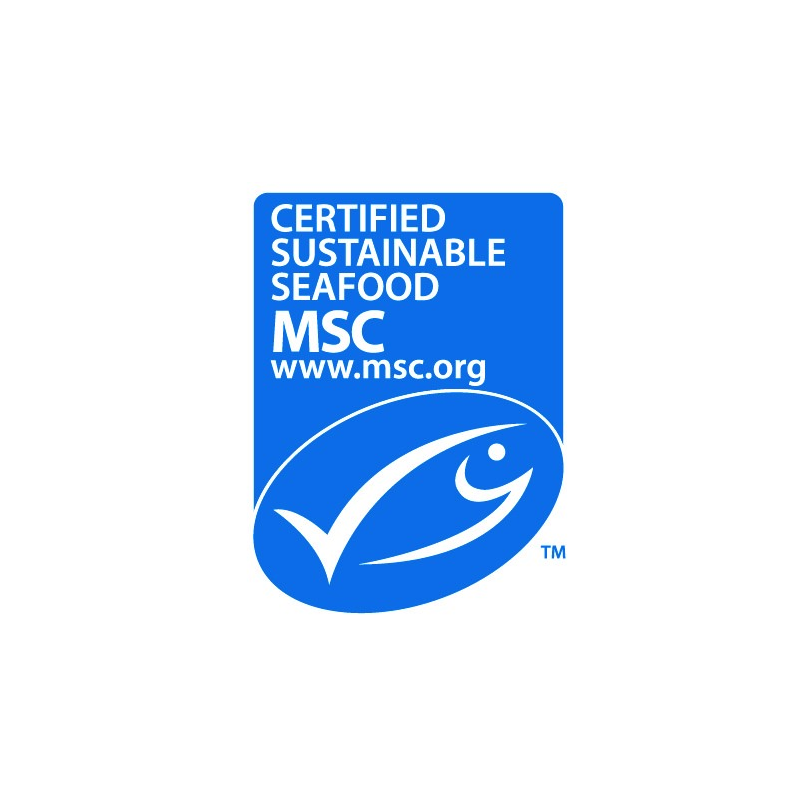 Our dogs find the entire range absolutely delicious and best of all, Sea Treats are the proud recipients of the the world’s first Marine Stewardship Council (MSC) certification in the dog treat industry. 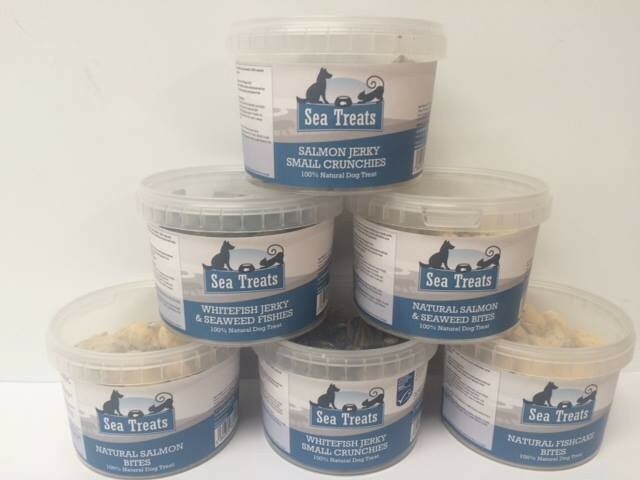 We were attracted to Sea Treats because we wanted to feed our dogs premium quality, natural fish-based treats they would love, safe in the knowledge that the fish has come from an independently verified sustainable source. 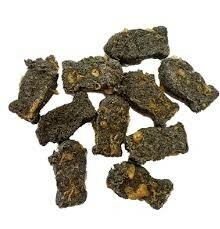 All in all, a great product from a company who cares about what is in their treats. Highly recommended! 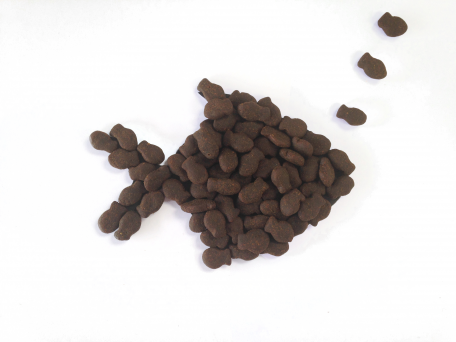 For those of us raised on a diet of Tom & Jerry cartoons, we can be forgiven for thinking that only cats love fish. 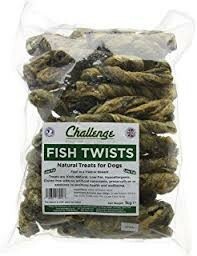 Well people, Fred Quimby (Google him) lied to us: dogs like fish even more than cats. We know this because our friends at Sea Treats www.seatreats.co.uk kindly donated a selection of their delicious treats to review. 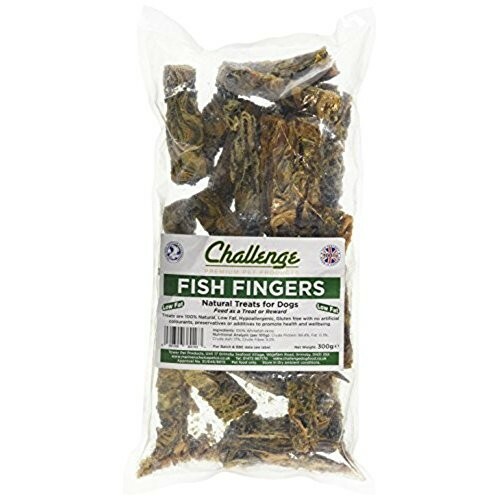 In no particular order, they were Salmon Jerky Small Crunchies, Whitefish Jerky and Seaweed Fishies, Natural Salmon & Seaweed Bites, Natural Seaweed Bites, Whitefish Jerky & Small Crunchies and Natural Salmon Bites. 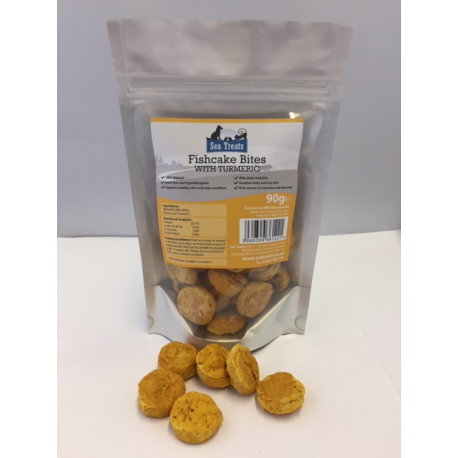 Based right at the heart of the UK’s premier award winning Grimsby Seafood Village, Sea Treats have two factory facilities manufacturing the best quality fish-based treats. 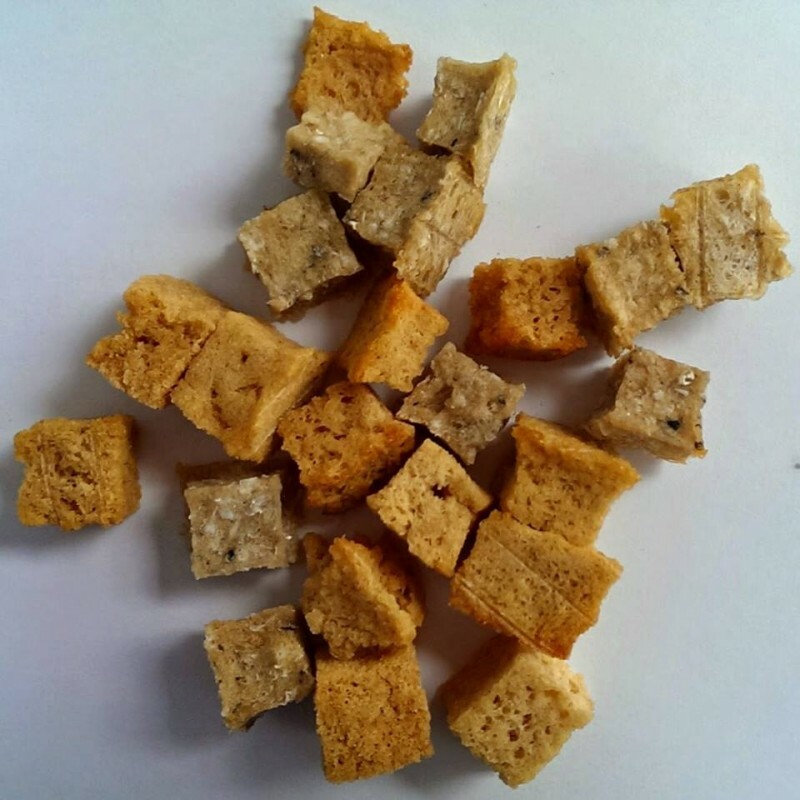 Both facilities are UK government approved with processes in place to UK approved standards and also boast the first Marine Stewardship Council (MSC) for the dog treat industry. But dogs don’t care how many certificates you have on your wall, all they care about is taste! 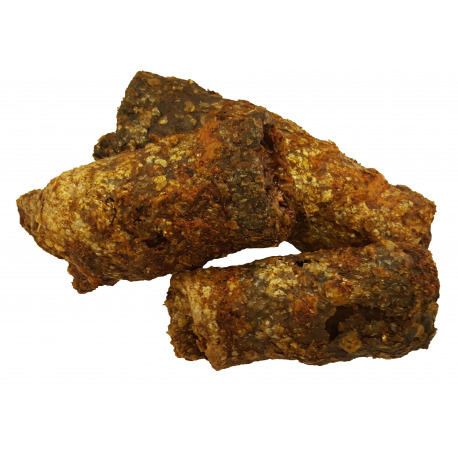 Our panel of experts for this rigorously scientific test can boast nearly 15 year’s experience in the dog treat industry. 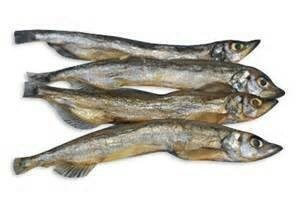 They can sniff out a red herring (every pun intended) at over 100 paces. As you would expect, the taste test was undertaken observing strict laboratory conditions. 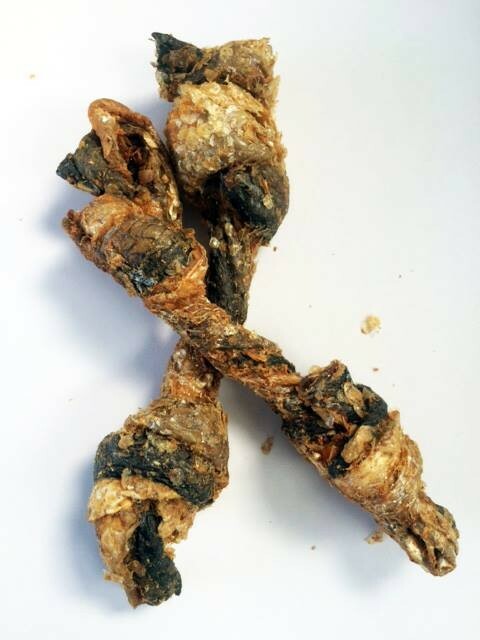 The conclusion of our canine scientists is that not only are Sea Treats sustainable and healthy but they are also DELICIOUS. 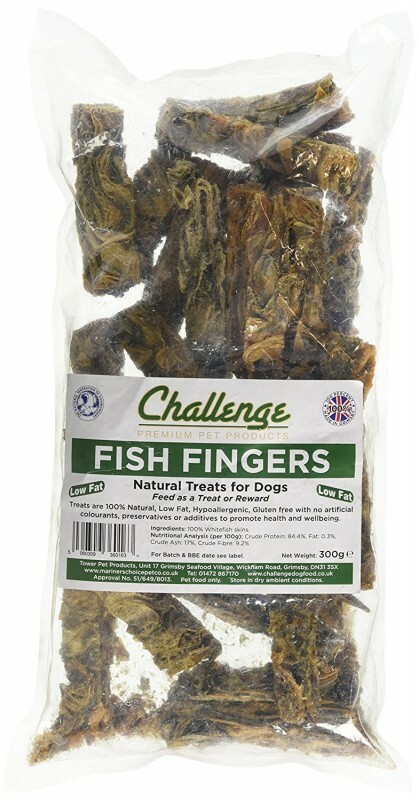 Your dogs will love them!